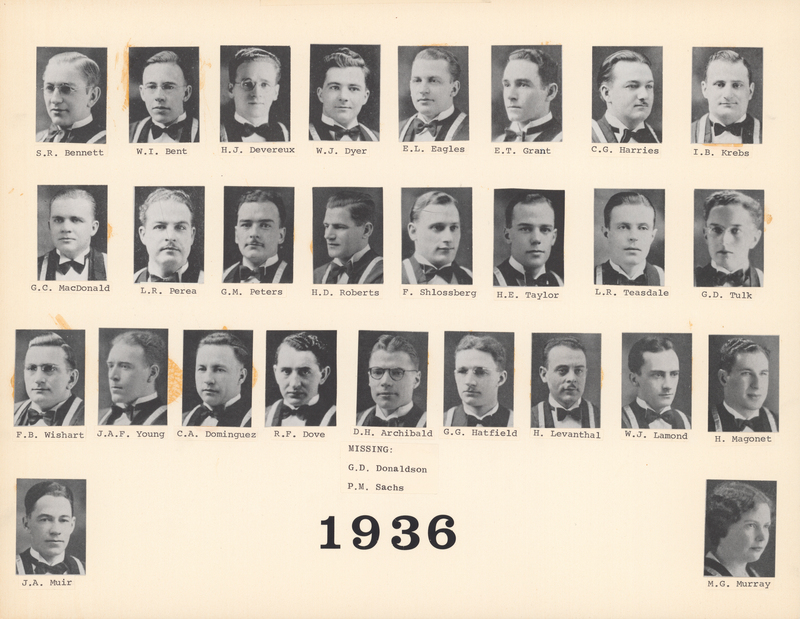 File is a composite photograph the Dalhousie Faculty of Medicine Class of 1936. 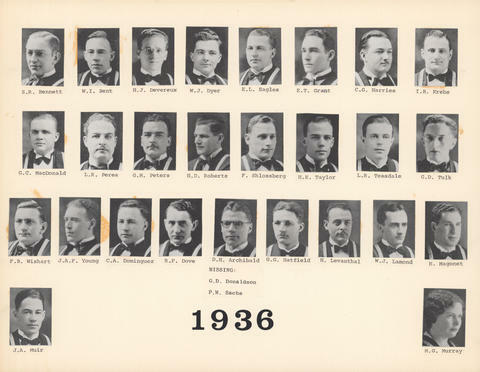 Photograph includes 27 photocopies of individual student portraits. Composite photograph includes portraits: S.R. Bennett; W.I. Bent; H. J. Devereux; W.J. Dyer; E.L. Eagles; E.T. Grant; C.G. Harries; I.B. Krebs; G.C. MacDonald; L.R. Perea; G.M. Peters; H.D. Roberts; F. Shlossberg; H.E. Taylor; L.R. Teasdale; G.D. Tulk; F.B. Wishart; J.A.F. Young; C.A. Dominguez; R.F. Dove; D.H. Archibald; G.C. Hatfield; H. Levanthal; W.J. Lamond; H. Magonet; J.A. Muir; M.G. Murray. Missing: G.D. Donaldson and P.M. Sachs.